"We are continuously making strides to reform our talent management system, including evaluating updates we previously made to the Enlisted Evaluation System," said Lt. Gen. Brian Kelly, Air Force deputy chief of staff for manpower, personnel, and services. "Our focus is on making our system more agile, more responsive, simpler and more transparent to better meet the needs of our airmen and our Air Force." The updated policies will impact almost every active-duty enlisted airman as well as those in the Guard and Reserve. One of the more significant updates covers a long and widely debated subject. Under the new policy, senior noncommissioned officers who complete an associate's degree or "higher level degree from a nationally or regionally accredited academic institution" are eligible for promotion and senior rater stratification or endorsement consideration. Another update focuses on equitability and streamlines the stratification process by removing ineligible airmen from the senior rater stratification pool. The previous policy allowed airmen with an approved high year of tenure, or HYT, retirement date to be factored into the senior rater's endorsement allocations. For airmen reaching HYT, performance evaluations are also now considered optional. An additional update authorizes the senior enlisted leader, previously only an advisor, to be a voting member of the Enlisted Force Distribution Panel. In addition, the policy affords large units the ability to use the Enlisted Force Distribution Panel process. If a designated large unit chooses not to do so, the unit commander must publish and disseminate alternate procedures no later than the accounting date for each evaluation cycle to ensure transparency. In yet another update, commanders now have authority to designate any number of non-rated days if they determine an airman "faced personal hardships during the reporting period." 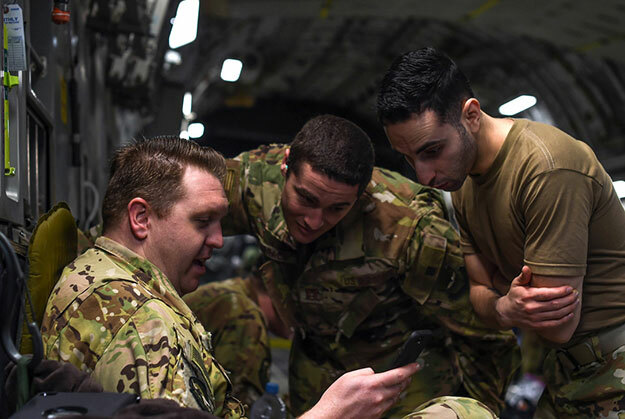 The option provides commanders the agility to reflect periods of extenuating circumstances on annual evaluations without negatively impacting the airman. Air Force senior leaders also made recommendations regarding referral evaluations. Currently, a report is automatically referred when "met some, but not all expectations" is selected on the AF Forms 910 and 911. To allow raters the opportunity to identify and document potential areas of improvement, these ratings will no longer be considered a mandatory referral enlisted performance report. This particular policy change will take effect in conjunction with the staff sergeant static close-out date Jan. 31. "Under the previous policy, if we set 100 expectations for an airman and they met or exceeded 99 of them but fell short on one, in essence we were saying they should be removed from promotion consideration," Wright said. "That doesn't align with our vision of talent management. We want supervisors and command teams to have the option to make decisions that make sense for our airmen, tailored to each individual situation." Wright added that providing this decision space for commanders aligns with the Air Force's effort to revitalize squadrons and empower leaders.